No club has quite rivaled Newcastle United’s claim over the years to be the most turbulent, unsettled club in England’s top division. So when Alan Pardew was named LMA manager of the year back in May after guiding his side to a fifth placed finish on the back of some astute business in the transfer market, the following season was never going to run as smoothly. Six months into Pardew’s eight-year contract, generously handed to him by owner Mike Ashley after last season’s success, Newcastle sit in 16th position having won just five times in 22 Premier League matches. A run of nine defeats in eleven before Saturday’s dour goalless draw with Norwich was described by Pardew as “awful”, as home wins over struggling Wigan and QPR have been the only source of joy for the Toon Army who saw their team sit ten places higher at this time last season. As the Magpies limped to the draw in East Anglia, close rivals Sunderland were beating West Ham to move four points clear of Newcastle who remain nervously looking over their shoulders at the relegation zone they are separated from by just 2 points. The previous result, the 2-1 reverse at home to Everton, drew the reaction from Pardew but not from the fans who remain surprisingly patient on the often irrational banks of the Tyne. Supporters appear to still be in support of Pardew who continues to fight a losing battle with misfortune and various circumstances beyond his control. The club’s top scorer Demba Ba has since departed for Chelsea on the back of 15 vital goals that has helped stave off serious trouble, while fellow Senegalese striker Papiss Cisse has failed to build on his delightful impact from last January as he has returned a measly 6 strikes from 26 appearances so far. Shola Ameobi remains unconvincing and his brother Sammy too young, in what is now a worryingly threadbare strike-force. The club have been close to completing a deal for Loic Remy but the Frenchman is classed as a gamble after his indifferent form for Marseille. Last year’s drive of their solid central midfield pairing has been lost to Yohann Cabaye’s long term injury and Cheikh Tiote’s constant indiscipline (he has 9 yellows and 1 red in 18 matches this season), while the latter also goes to the African Nations Cup with Ivory Coast this month. Ryan Taylor is a long term absentee, Hatem Ben Arfa, the erratic but extremely creative winger, has been injured all too often playing just 14 times. The defence has also suffered disruption, Steven Taylor has also been on the treatment table whilst captain Fabriccio Coloccini has voiced his desire to move back to native Argentina. Underneath their first team troubles, there is a feeling that some elements of the squad such as James Perch, Mike Williamson and Gabriel Obertan are not to standard and they are being exposed as a result. 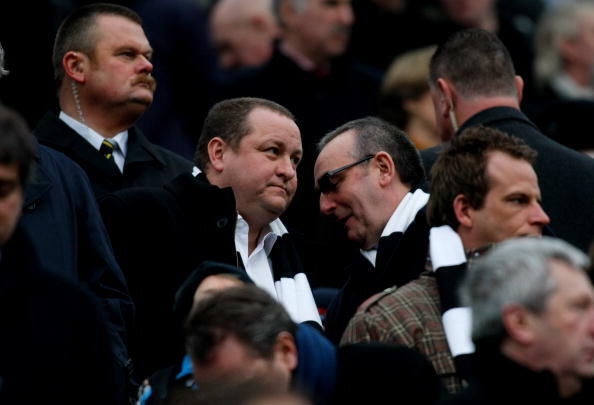 Newcastle’s slide down the table has seemingly alerted Mike Ashley and Derek Llambias to the requirement of further investment to the squad. The move for Remy follows the £5.5 million deal for Lille’s French right-back Mathieu Debuchy who was close to moving to St James’ Park in the summer before the Newcastle hierarchy aired in the side of austerity. Vurnon Anita was their only paid-fee signing in the summer despite the added demands of the Europa League as Ashley chose to watch the purse strings rather than realise the need to bolster the squad in time for higher expectation. The £35 million pocketed from the sale of Andy Carroll has hardly lit the torch paper for excessive spending; Tiote, Ba, Cisse, Ben Arfa and Cabaye were signed in total for less than £20 million. It can be argued that it is clever scouting, refreshingly shrewd business in the era of lavish outlay at the top, but an indication of Ashley’s party-line of thrift that cynics say Pardew is all too eager to tow, the main underlying reason why he was given the security of the eight year deal. The manager has announced that “money is tight” and such restrictions on finances is certainly not helping a squad stretched to a very large extent by injury. Llambias however, has shown understanding on a football sense by going on record to say “every manager is entitled to a bad season”, the closest to any kind of vocal support that Pardew is likely to receive off the Newcastle board that usually positions itself clear of footballing matters. 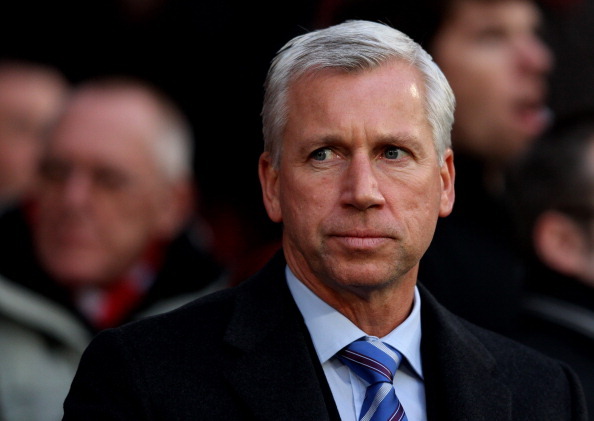 There is no doubting that it is a bad season however and as Pardew has called for, there is a desperation for added investment to a thin-looking squad this January. If that does not happen, Newcastle could find themselves staring down the barrel of another surprise drop the Championship which would be disastrous, even by Newcastle’s regularly dishevelled standards.